Is there anything better than vacation? Discovering new places, meeting new people, learning the ways of the locals, absorbing all that art, culture...and vino. The one bummer can be packing. 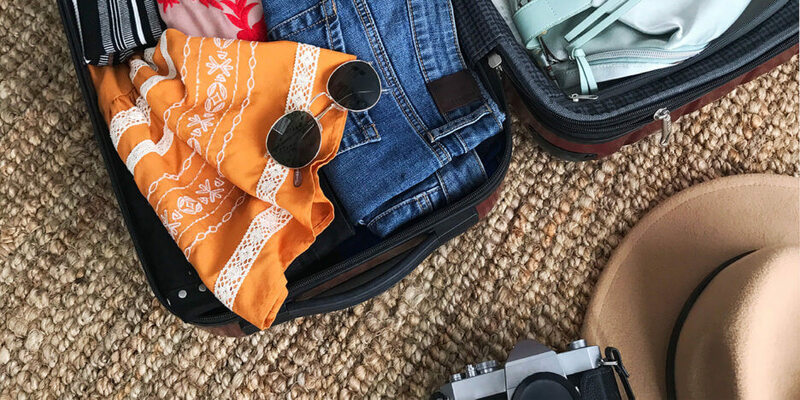 With that in mind, we have tapped the best resource we know of to get you the most fashionable, practical packing tips: our Stitch Fix Stylists. Keep reading to see our Stylist’s packing tips! 1. Take your travel game to the next level with pre-packing! A few days before the trip, I put out a bag with my first draft of clothes, and then make cuts closer to the day based on the weather and available luggage space. I also throw in stuff I might forget, like phone chargers and toiletries. That prep has saved me a lot of hassle on the road! — Stephania S.
2. If you are an over-packer invest in some vacuum travel bags that compress your clothing down to a fraction of its original size. You’ll get more out of your luggage space while packing all of your travel necessities. It’s especially ideal for those big and bulky pieces that take up a lot of space in your bag. — Sheri F.
3. Comfort is key for me so I put a lot of thought on my actual traveling clothes. For a hassle-free transition at the airport I always take a hoodie to stay warm and comfortable–and the extra pockets are a plus for keeping those travel documents secure! — Crista G.
4. Ditch the heels. They aren’t comfortable for exploring new cities and take up way too much luggage real estate. Instead, I bring a pair of versatile flats and my trusty sneakers everywhere I roam! — Charlotte B. 5. Always pack a lightweight scarf that’s long enough to cover your head and shoulders. Depending on where you’re traveling, tank tops are bare heads might not be allowed. Bonus points that it can also serve as a belt, bag accessory, headband or wrap on the plane! — Laurie H.
6. I think of pre-selecting my clothes as a way of saving precious time that I will want to spend getting to know new places and people. So I usually choose a palette of three to four colors to stick to, and then a few bottoms and tops in those hues. That not only helps narrow down my choices and prevent me from getting “option paralysis” when packing, but it also makes it so easy to mix and match during my trip. — Crista G.
Ready to pack and go? No matter the destination, be sure to schedule a Fix and have the perfect vacation outfits at the ready.